Don’t let your kitchen stand between you and your food. 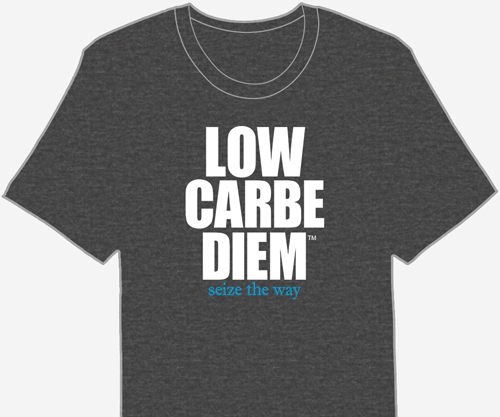 Low carbers eat more veggies than most people eating ‘regular’ diets. We know prepping takes time. Let’s cut your daily grind in half. Prepping low carb veggies is fast and easy – if you know a few secrets. Let’s make your veggies do all the work. These 10 tips are simple, but using a few together saves incredible amounts of time. Start with the veggie prep tips that fit your low carb style first. You don’t have to wield your knife like a samurai. Let the veggies do the prep for you. Once you’ve mastered a tip, add a new one to your routine. Get a good chef’s knife, learn how to use it and keep it sharp. Knowing you can cut up a big pile of low carb veggies in just a few minutes means you are much more likely to do it. You don’t have to spend a lot of money to get a good knife. America’s Test Kitchen reviewed chef’s knives and recommends one that costs around $25 will last the rest of your life. Learn how to use your knife by taking classes at a kitchen equipment store, or watching TV shows that give technique guidance. Don’t try to cut too fast at first. Build up your speed gradually. Soon you’ll chop like a pro. For some jobs, a food processor is also very helpful. It can shred a zucchini or turn cauliflower into “cauli-rice” in a few seconds. Running all over the kitchen like a madman wastes time. If possible, set up your kitchen with a work space for cutting right next to the stove. This way, you can “chop and drop” as you go. Place a trash can next to you on the floor and a container for scraps (good for making soups or compost) on the counter. A plate or bowl for veggies that aren’t ready to be cooked is also helpful. Choose low carb fruits and veggies that don’t tend to be dirty, aren’t tricky to chop, and don’t need a lot of preparation. These veggies are your best bets when you don’t feel like cooking. Asparagus may be rinsed and chopped in seconds. Cabbage is easy to prep. When your knife runs through it, you get lots of little sauce-grabbing pieces. Zucchini is firm and easy to chop, slice or zoodle-ize. Wrap zucchini around other foods or layer in a dish for mock lasagna. It doesn’t take twice the time to chop up twice the vegetables; do it once and enjoy them for several meals. Store the chopped fruits and veggies in the fridge. There are many low carb vegetables sturdy enough to have a long life span, and store easily. Chop everything extra in your vegetable drawer and sauté in a big pan with olive oil and seasoning. Throw in bunches of herbs, fresh garlic or chopped nuts. Use stored low carb veggies in an omelet (or other egg dish) for a side dish, or with dressing in a cold or cooked salad. Roast or grill your veggies with salt, pepper and olive oil. This concentrates the flavors in a wonderful way. It works best when veggies are whole or cut into larger pieces. When cooking up a bunch of low carb veggies in a pan, start with the veggies that take the longest to cook, then add fast-cooking veggies. Start with the aromatics such as onion, celery, and carrots, followed by denser options such as broccoli or cauliflower. Next, add less-dense veggies such as peppers, zucchini and mushrooms. Finish by adding greens such as spinach and chard – right at the very end. It takes almost no time to sauté a little garlic in olive oil (just a few seconds until aromatic or it will be bitter), then mix in lemon juice and a bunch of spinach or arugula greens. Although more expensive, buying a bag of washed cut greens or sliced mushrooms/onions/celery saves the most time in the kitchen. Some chopped fruits and veggies are available in bulk, and are perfect for large cooking projects such as veggie salads, stews, chili and soups. Plan for the week. Try to focus on eating fresh, low carb vegetables. The flavor tastes better and these veggies often feel ‘crunchier.’ However – it’s still fine to serve frozen broccoli or crumbled cauliflower in a pinch. Frozen or canned fruits and vegetables work best in dishes with bold seasoning. Change your attitude about low carb fruits and veggies. Don’t view kitchen prep as an obstacle to putting dinner on the table. Official chart from the USDA lists full nutrition of over 100 fruits and vegetables. Includes stats for calories, carbs, fiber, fat and protein.